In a world of smart phones and tablets, many are finding it increasingly difficult to spend quality time with friends and family. A generation ago, it was not uncommon to gather around the dining room table to play board games while chatting, laughing and generally enjoying each other's company. 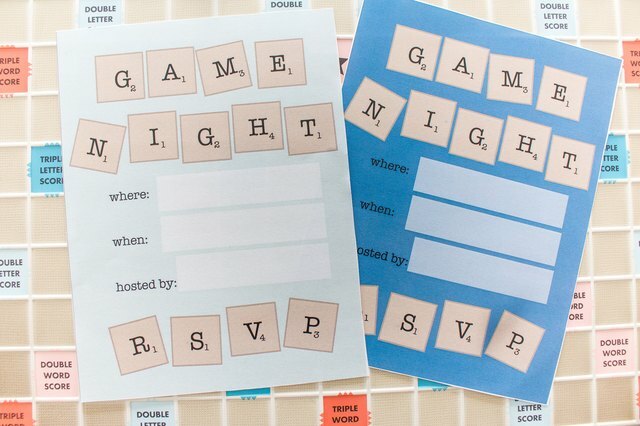 With that in mind, we've created these fun invitations for you to kick-start your next game night get-together. 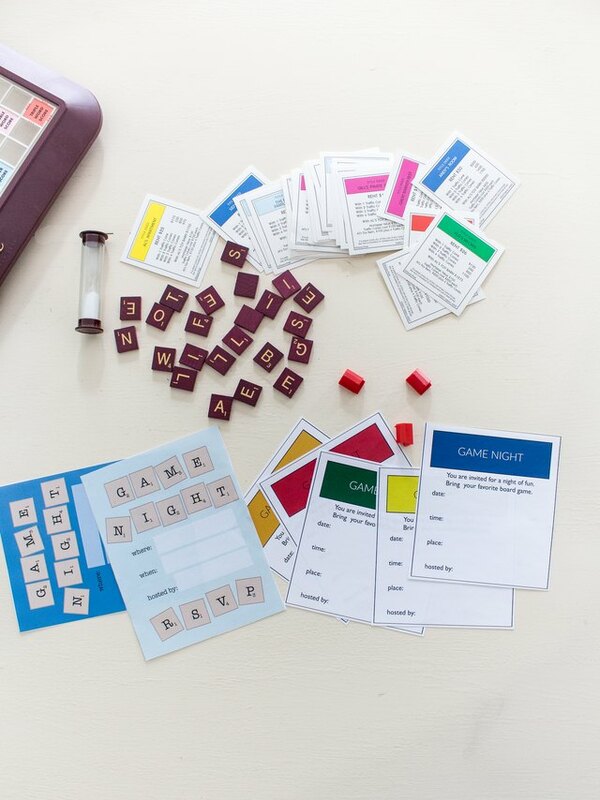 Hosting a game night party for friends can be a fun and economical alternative to going out all the time, and best of all, a well-planned game night will keep everyone laughing and having fun while creating memories. 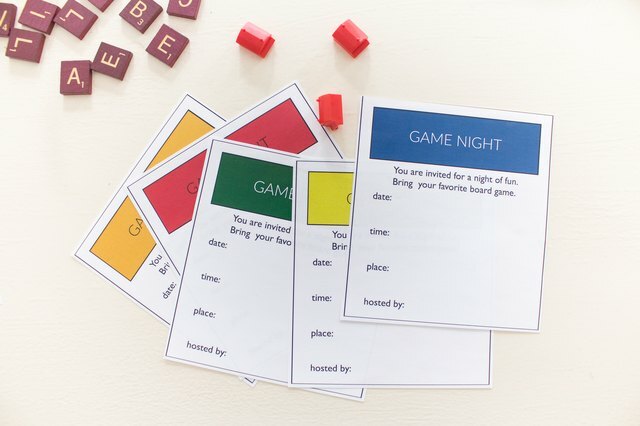 We have put together several game night printable invites to get you started. 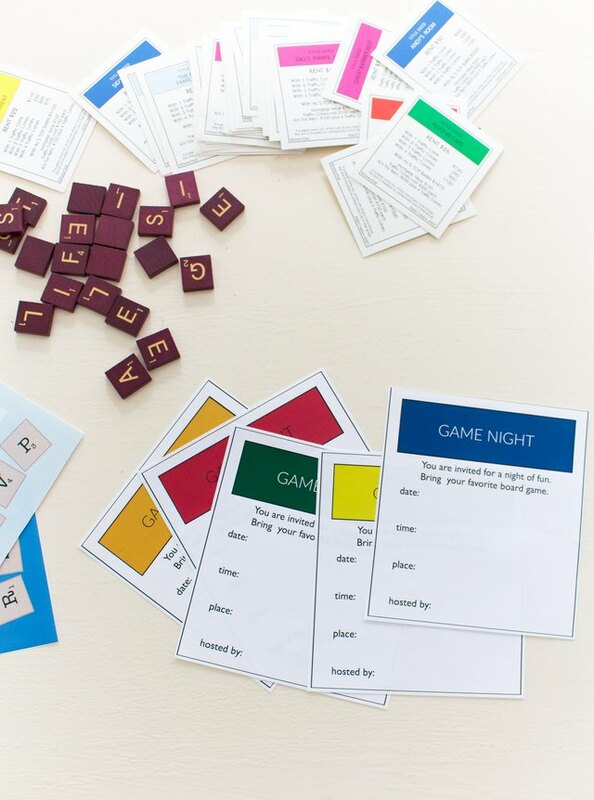 Download the Game Night free printables and save to your desktop or desired folder. Print out the invites, or take the file to your local print shop. If you print at home, you will need to adjust your printer settings to print 5" x 7", enabling you to print two per page. Cut out each invite with scissors or a paper cutter, fill out the particulars and mail (or hand out) to your friends. Have fun! 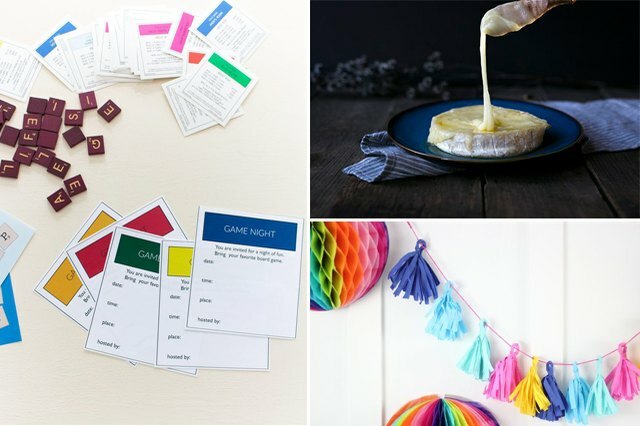 From decorations to drinks to dips to dessert, no game night is complete without these essentials!